Will wearable technology break out of the 'fad' stage? Wearables are everywhere, and they're beginning to cover everything from the wearers' exact location and physical activity to their heartbeat and sleep patterns. This year has seen the Apple Watch added to the wrists of those already with smartphones, while hiking watches from the likes of Garmin have joined activity trackers. There are even some workers using Google Glass. 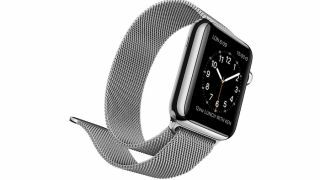 So will your next office perk be a free Apple Watch? That's unlikely, but there's a reasonable chance that you'll be given a Fitbit. However, how companies handle wearables and the data they collect is a touchy subject – especially in the light of a court case in Canada last year where an employee used her Fitbit history in a personal injury claim. For some businesses the exact whereabouts of its employees could be valuable insight for a competitor, while a misuse of activity data could easily affect staff morale – most employees want more autonomy, not micromanaging. Is self-tracking safe for staff or businesses? What kind of wearables are being used in the workplace? Fitness trackers, GPS-enabled devices and wearables that allow hands-free computing – think Google Glass – are all becoming more common in the workplace. "Fitness monitors are used to incentivise the use of corporate wellness programs, especially for self-insured organisations," says Kristopher Wasserman, Vice President of Client Services at eQ, whose eDiscovery services include Litigation Project Management. One company distributed 24,000 Fitbits to their staff, while 10,000 companies offered fitness trackers to employees during 2014. Next year the majority of companies in the US employing over 500 people will offer fitness trackers. Could they soon be part of health insurance contracts? Meanwhile, GPS-enabled devices streamline logistics at distribution centres – some companies use armbands to track goods, while other firms have their employees carry scanners equipped with GPS that tell them the most efficient route to take to collect an item. Finally, hands-free devices are used for any task that requires both hands. "People who climb telephone poles use armband computers, surgeons use voice activated systems that display requested information to doctors, and military fighter pilots use heads-up displays in their planes," says Wasserman. And that's just the start. Is data collected by wearables safe? Location, activity and health data is just about the most precious personal data of all, but is the data collected by wearables safe from hackers? A Fitbit was hacked at the Hacktivity Conference in Budapest last month, which prompted Fitbit and the Consumer Electronics Association (CEA) to issue some voluntary Guiding Principles for companies handling the 'personal wellness data' generated by wearable tech. "More consumers than ever are now harnessing personal data – calories consumed, daily steps taken and heart rate measurements," notes Gary Shapiro, president and CEO at the CEA. "As this technology evolves, consumers will learn even more about themselves, giving them a greater ability to lead healthier lives. These benefits rely heavily on wellness data, and the Guiding Principles demonstrate that wellness technology companies understand they must be trusted stewards of that consumer data." Exactly how companies should manage activity data recorded by wearables used by staff is still being debated. "Very few companies have been able to institute a comprehensive governance policy to proactively manage and maintain the data created by personnel," says Wasserman. He doubts there is a one-size-fits-all answer. Will we see data collected by wearables used more in court? Yes, though for now it's rare – and rarely done well – for one simple reason; law schools don't teach attorneys to use data as evidence. "Currently there are only a few instances in criminal cases where Fitbit data was used to refute or verify individual physical activity," says Wasserman. "Until wearable technology breaks out of the fad stage and inserts itself into the workplace, it will take a while for data associated with wearables to show up as evidence." The law is a reactionary business that's all about process, not progress. "If an attorney representing company X requests that the opposing side produce data only from its email system, they will only receive emails," says Wasserman. "There could be a treasure trove of useful information available on other interconnected systems that most lawyers wouldn't even think of asking for, such as mobile devices, social media messaging services, key-card logging systems, etc."